The family office wealth management furnishes comprehensive outsourced solutions and administration of investments as well as finances, to include insurance, budgeting, family-owned business, charitable giving, tax services, and wealth transfer, making them standout from conventional family offices. Most of these offices invest profoundly in databases, consultants, and analytical tools that assist them in performing due diligence in managing their clients’ investments for tax purposes and allowing their investors to retire wealthy. This article will assess the popular trends that have profound impact on family offices, to include the hasty growth of family offices, the kinds of family office services today, and the utilization of hedge funds as well as alternative assets by both single and multifamily offices for successful retirement investing. Currently, there are two known types of wealth management services: SFOs or single-family offices and MFOs or multifamily offices. The SFOs cater to one affluent family, while the MFOs function more like usual private wealth administration services with many clients in hand. Multifamily offices are more frequent for the reason that they can allocate huge investments in technology as well as consultants among numerous high-net-worth clients rather than a single family or individual. The team of consultants to be assigned to a family office will depend on the goals set. If the objective of a family is to procure family-wide bookkeeping and accounting, a family with an asset of as little as $50 million will deem it more economical to establish an office. However, a full functional and integrated family office is only open and accessible to very large families, normally those who are trying to manage $1 billion worth of assets. 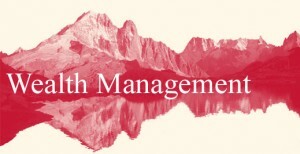 The high net worth customers most of the time come with a gamut of issues and concerns that wealth management advisor should be equipped to manage accordingly. In several developed nations, there are a growing number of ultra-high-net-worth and high-net-worth classes with accumulating investments than what the middle class generates. 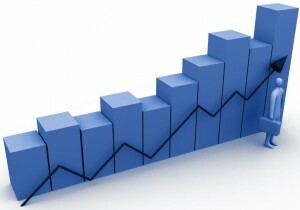 Simultaneously, numerous emerging and growing economies are flourishing, with yearly growth rates between 4% and 8%. Due to the continuous increase in the population, large wealth management firms healthily compete on cost and operate on a larger component of their core services over the web, taking advantage of the benefits of inflation. While an average person with standard way of living is grateful if he can save hundreds or thousands of dollars every year, several affluent people will rather use up between $20,000 and $100,000 or more annually to make certain that skilled professionals are administering their taxes and investments to suit their particular appetite for risk and unique financial goals. Many of these people manage businesses or have complicated wealth management or tax-related requirements, and they necessitate experts to aid in management of their finances. Due to this, family offices are fast becoming the frequent solution to such demand, staying highly profitable while also accommodating the distinct needs of the extra affluent families and individuals. Although there are no predetermined regulations on what services a family office can furnish, there are distinctive finance-related and investment services that many of them make available to their clients. Several of these sophisticated financial services can’t be procured from traditional wealth management provider and private banking services for the reason that they are only within the means of the richest clients. Aside from the above services, family offices also present superior expertise in transforming debt into wealth for those who wish to reconstruct their failed business ventures by allowing them to select alternative investment products and portfolios. Many family wealth management services have housed their funds heavily in systems, as well as institutional consultants and reporting to assist in selecting the most lucrative, alternative investment products and managers for their high-net-worth and ultra-high-net-worth clienteles.